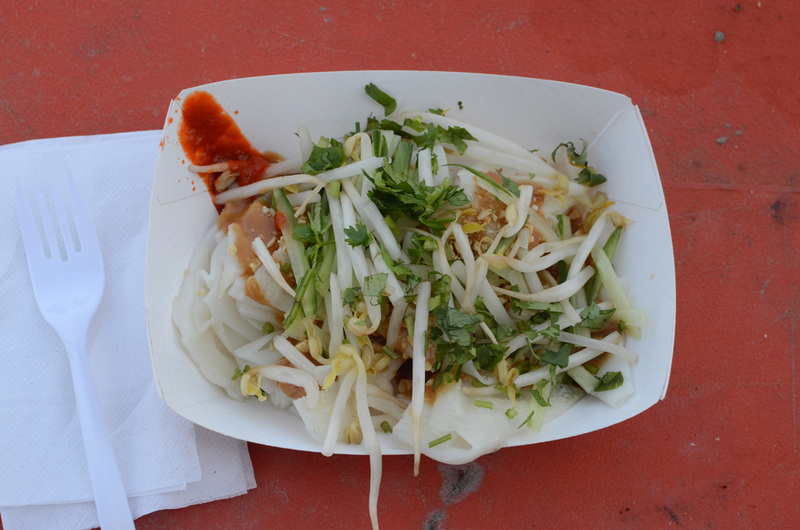 One of the very first posts I did on this blog was about last year’s Smorgasburg. It’s open once again, with even more vendors than before. 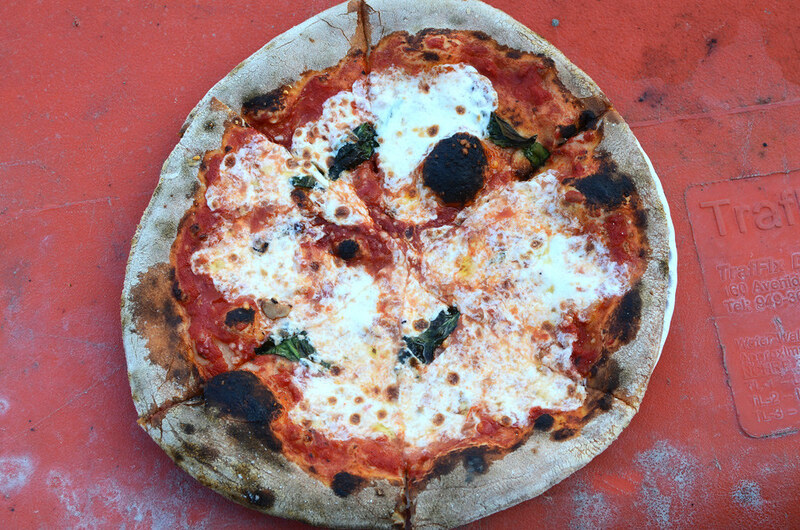 I had some good food, and some not-so-good food, but my favorite item of the day was the margherita from Pizza Moto. Pizza Moto has been bringing their mobile pizza oven to events for a while now, but I’ve never had it before. Fresh out of the oven it’s a real treat; lightly charred crust, nicely seasoned sauce, and creamy mozzarella. Some tips: Skip the paratha from Parantha Alley; though freshly made, they are greasy and not very flavorful. Do get the cheong fun from Noodle Lane; soft and silky rice crepes tossed with peanut sauce and some crunchy vegetables. There are a lot of vegetarian options at Smorgasburg, and it’s only there for a few months, so don’t waste any time. This entry was posted in williamsburg and tagged pizza, pizza moto, smorgasburg, williamsburg. Bookmark the permalink. You have it wrong! Parantha Alley was a taste explosion in my mouth… Maybe you skipped the sauces and pickled mango… But I do agree with you that noodle lane was also yummy. As a vegetarian the pizza was too boring for me to try! @Veggie friend — sorry, i had the sauces. the paratha itself was still greas and bland. maybe i got a bad batch? also, good pizza is never boring! thanks for stopping by. Hi Howard (and veggie friend! ), thanks so much for the nice review. I wanted to create a vegetarian-friendly dish so I’m glad you enjoyed it. If you ever come by again please introduce yourself. Thanks again. @Lane – thanks for the delicious food, and thanks for stopping by the blog!